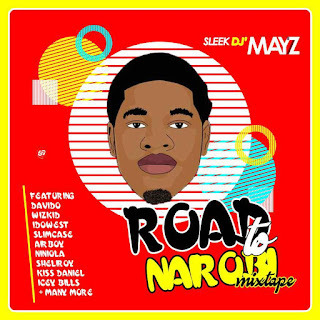 With aim to make a votal stand in Africa as a Disc Jockey, Your Lagos Feeling Dj, Sleek Dj Mayz heads out to Nairobi (Kenya) to make another outstanding move. This is coming few months after his welcome party from Cairo, Egypt at the Island and launching of his EP titled "I Am Lagos Island". The first track featuring Sheliroy titled "I Am The One" is still on trend. The Road to Nairobi Mixtape is a full length introductory mix. Do download and share your thought.